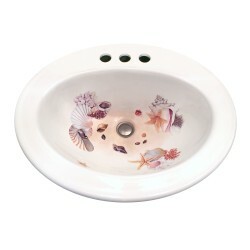 This sink features a variety of more colorful shells with red, green & blue highlights resting on a bed of hand-painted faux sand effect. 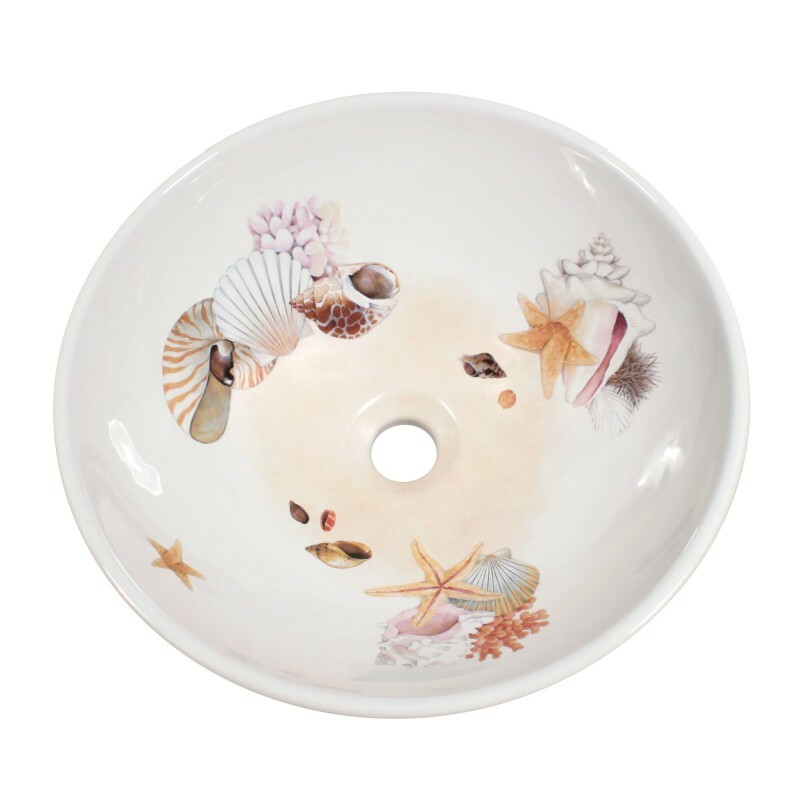 Great for a beach theme bathroom or powder room by the ocean. Also available without the sand background. Call me if you would like that. It would be $125 less. Shown on a 16" round white vessel sink. Can be adapted to most vessel sinks. Visit the Fixture Choices page for info. Ships in 2-3 weeks.